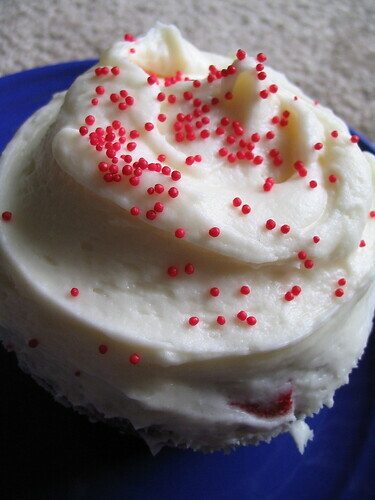 I think it was the fluffy white frosting that did me in after consuming only a half of this red velvet cupcake from Auntie Em’s Kitchen in Eagle Rock. My mantra concerning desserts is there can never be enough frosting but there was something that caused me to quickly crash and take a nap. Under any normal sugar high, I would be wired for a few hours sometimes unable to concentrate. 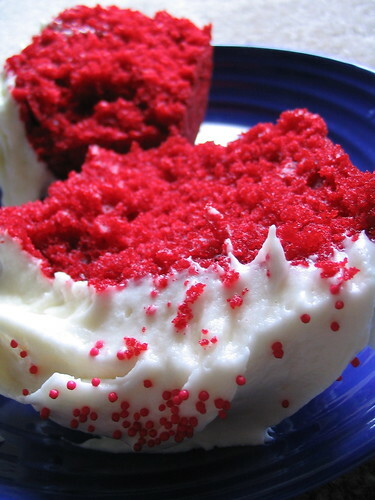 For my first time having a red velvet cupcake, it was a step above something I would make at home. The actual cake itself was delicious, moist and blindingly red especially against the snow white frosting.